Home » Has the Most Mysterious Manuscript in the World Finally Been Cracked? 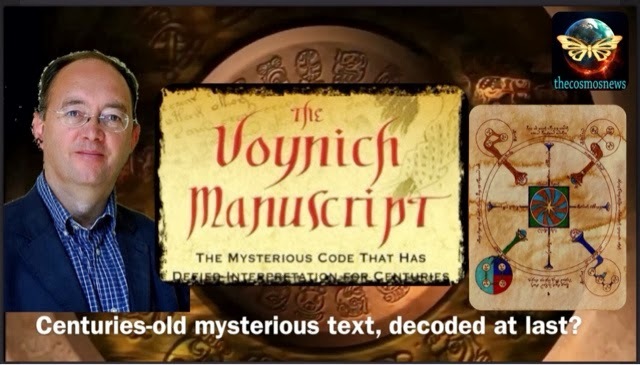 For centuries, code breakers and laymen alike have tried and failed to decipher the mysterious Voynich manuscript. One linguistics professor says he’s done it. About two years ago, Bax resolved to take on the Voynich manuscript by hand, without any cumbersome, big data method. “I decided not to come up with a grand, overarching theory, but to start more linguistically—to focus on a bottom-up approach,” he says. Bax put his knowledge of ancient Semitic languages to work, and began to link letters to sounds, and then images to their likely meanings. He scoured medieval manuscripts, comparing known plant species to their Voynich counterparts and piecing likely names into a cipher for decoding words and phrases. “It was a long, laborious process of trial and error, elimination and comparison,” Bax says. But some scientists doubt whether Bax’s plant identifications can be trusted. Count amount those Arthur Tucker of the Delaware State University Department of Agriculture. “With over 60 years in plant identification…a record with working with private industry and the U.S. federal government on identification of botanicals for almost 40 years, and as Co-Director of a major Herbarium, I can only say on record that his plant identifications are naïve and mostly wrong,” he tells PopMech via email. Bax, however, believes that his linguistics training provides him with unique insight into cracking the Voynich code. He is quick to note that his results involved building on prior research, toying with scraps of dead languages and comparing his findings to medieval sketches. “This was not a sole effort,” says Bax. “My work springs from many other researchers, who have been working on Voynich for decades. Bax predicts that the Voynich manuscript will contain lessons about the medieval mind, and how cross-culture influences shaped ancient perceptions of the nature. “If we decode the manuscript, it should give us fascinating insights into how people at the time understood the world around them,” he says.